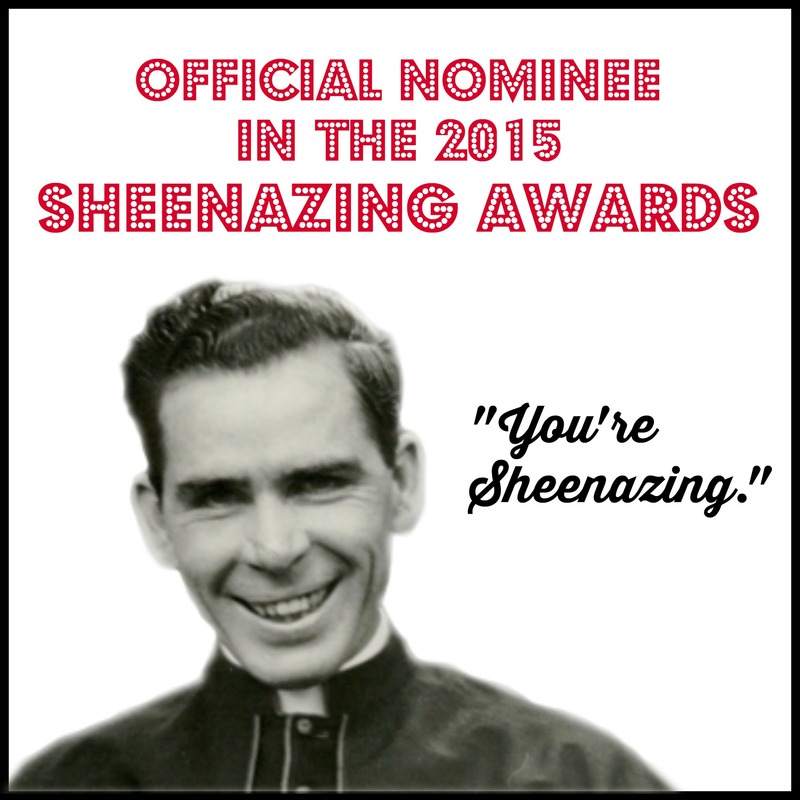 Also...it's not to late to vote for My Domestic Monastery in this year's Sheenazing Awards!! Friday! I never thought it'd get here!!! 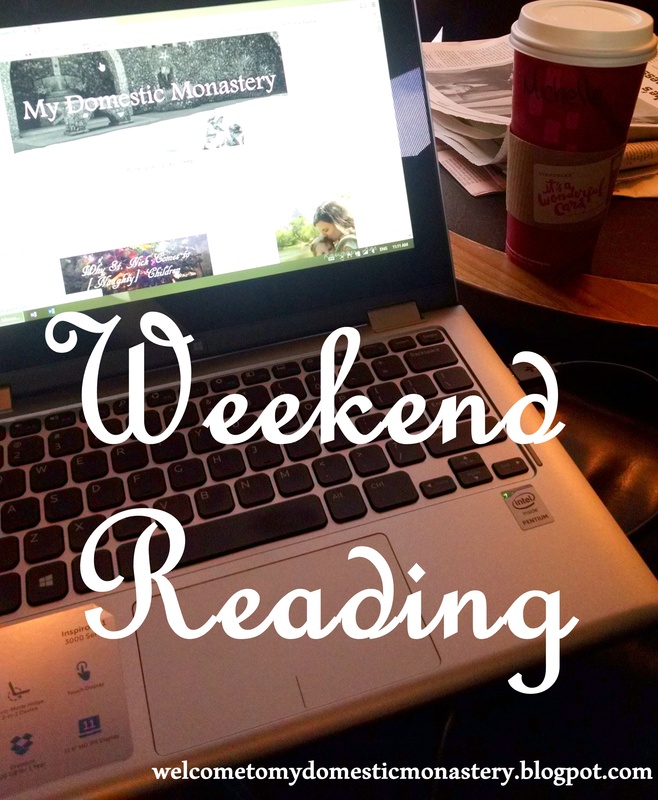 Kick back, take a few minutes to relax, and join me for some early Weekend Reading. Before I share anything else...a question for you all. Would anyone be interested in a vlog series? I'd love to share with you some unique tips for thriving - not just surviving! -on a graduate student budget (since that's been our reality since we got married!! ), and a vlog seems like a fun way to do it. Any interest in some money saving tips? As I shared with you on both Instagram and the blog, I've been making a braided rag rug to freshen up the girls' room. I've crocheted a couple of t-shirt rugs before, but this is my first braided rug. I'm not really strictly following any tutorial, but I have found this one to be helpful. I found lots of inspiration over on Pinterest...are you following us there, yet? 4 year olds are like their own species. They can be both delightful and utterly challenging, and I was happy (as always) to glean some wisdom from Auntie Leila on the matter. I've never gotten super excited about podcasts...until Fountains of Carrots came along! Episode 8 (the latest) was a book discussion, and I thoroughly enjoyed it. Do you have any podcasts to suggest? I know that I link to Jenny practically every week, but I just loved her thoughts on debt and openness to life. Now, as a family without a ton of money, I can attest to the fact that you can indeed raise children with less money than you'd think. Nonetheless, Jenny is so right - there is a freedom in knowing that you have the resources to welcome more little souls into your family. Some excellent food for thought. Heather posted again this week!!! I've missed her drawings. On a more serious note, she had a lovely post about praying for Paul. May he rest in peace, and please keep his poor family in your prayers. The March for Life was yesterday, and I hope that you got to watch some live coverage (or better yet, got to attend!!!). This is an older video, but I think it is so powerful. Sometimes, I wonder what history will think about this period in history. Will those who stood for life be vindicated? Ultimately, it doesn't matter, so long as our children are finally safe. As someone who has suffered from mild to moderate hyperemesis gravidarum, it always breaks my heart when I hear about how many women with HG are pressured to have an abortion (rather than medical professionals and researchers putting the time and money into finding a real cure for this serious condition). Women and their children, deserve so much better. They deserve real solutions to the difficulties that come with pregnancy. Keep praying for respect for life! !